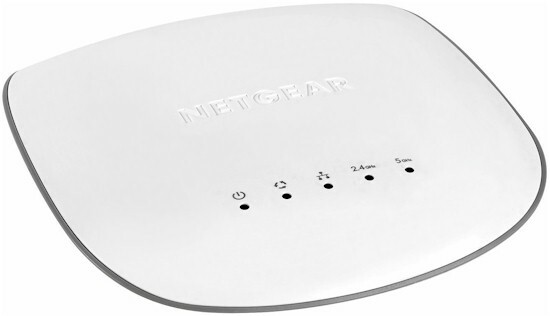 Note: This review has been updated to add the NETGEAR WAC505. Note: Additional testing on these products can be found here. It seems like more people are realizing the performance (and cost) advantages that building a Wi-Fi network with Ethernet-connected access points (APs) can provide. If you're fortunate enough to have a large/multi-level home with Ethernet where you need to locate access points, there really is no reason to mess with more expensive mesh Wi-Fi systems, Wi-Fi extenders or even big, expensive conventional routers. When using multiple APs, 2x2 AC1200 devices are the sweet spot. They are relatively low cost and match the dual-stream capabilities of most devices you're likely to connect to your WLAN. So we rounded up the seven eight products listed below for test, ranging in cost from a low of around $60 to a high of around $160, with plenty of others hovering around the $100 mark. We wanted to include NETGEAR's WAC505 and EnGenius' EAP1300 in this roundup, but neither company provided sufficient review samples. We wanted to include EnGenius' EAP1300 in this roundup, but the company would not provide sufficient review samples. All products have at least one gigabit Ethernet port and can be powered by 802.3af or 802.3at Power over Ethernet. It's important to pay attention to the difference if you're planning on using PoE. Devices designated 802.3at draw more power than those spec'd 802.3af. So you'll need 802.3at switches to power them. This review will be in two parts. I'm covering the basic product descriptions, component breakdowns and chamber-based throughput vs. attenuation and peak throughput tests. Jim Salter will be following up with a review of each product's performance in a three-AP home setup. The review format will have a mini-review with component analysis and key features of each product, followed by group performance analysis. Let's begin. 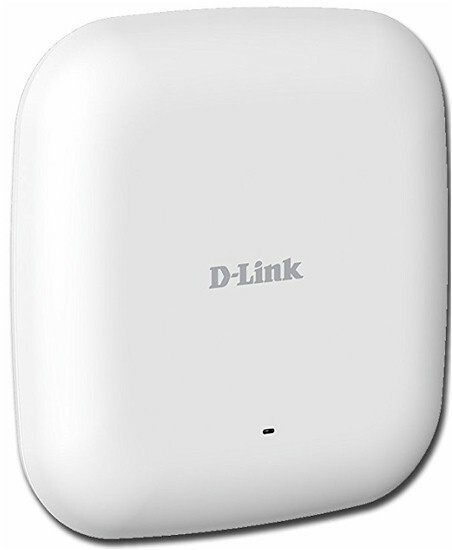 D-Link's DAP-2610 has a design more like the recent crop of consumer "mesh" Wi-Fi systems than most of the other APs in this group. It's based on Qualcomm's IPQ4018 2x2 Wi-Fi SoC, which means it's capable of supporting MU-MIMO and, in fact, is the only AP in this roundup to support it. But despite being described as a "Wave 2" device, the DAP-2610 does not support MU-MIMO. This isn't a big deal, since MU-MIMO is of questionable benefit. This device combines a 717 MHz quad-core ARM Cortex A7 processor and 2x2 2.4 and 5 GHz radios, making for a clean design. The board shot taken from the FCC ID docs shows two bent-metal dual-band dipole antennas affixed to the board. The board is kept cool by a metal heat spreader plate occupying most of the bottom cover area. Pairs of 2.4 and 5 GHz RF front ends/power amplifiers can be seen to the left of the IPQ4018; system RAM is to the right. Key components are summarized in the table. The AP can be managed via web interface, D-Link's free Windows-based CWM-100 Central Wi-Fi Manager software controller, command line via Telnet or SSH or built-in cluster controller (AP Array). APs in an Array can be designated Master, Backup Master or Slave and up to 32 APs can be included in an array. The Web admin GUI wins the award for most old-school style, but it packs a lot of features, most of which are summarized in the tables below. Not shown in the tables, but also supported are a built-in RADIUS server for enterprise-grade authentication, Wi-Fi scheduler and DHCP server. Bandwidth use can be controlled using both bandwidth limits and priority levels. Up and downlink bandwidth limits can be set for each of eight SSIDs on each band and for individual clients. The priority-based QoS feature (four levels) can assign bandwidth-use priority by application port. We reviewed both the CAP1200 and its WAP1750 3x3 sibling back in 2015, so this will be a brief recap. The CAP1200 is an AC1200 class 2x2 802.11ac access point in a circular "smoke detector" format, measuring just under 7" (17.6 cm) in diameter and 1.25 in. tall (3.2 cm) at its highest point. It can be wall or ceiling mounted with the included hardware and powered via 802.3af PoE or the included AC adapter. Edimax rates the CAP1200 as capable of supporting up to 50 concurrent clients per radio. The CAP1200 is one of the few APs in this roundup built around a MediaTek MT7620 802.11n 2T/2R SoC as the main processor and 2.4 GHz radio. The 5 GHz radio is a QCA9882 2x2 802.11ac/a/b/g/n radio. Other key components are shown in the table. The CAP1200 is managed by web browser only. APs can be individually managed or an AP can be switched to be a cluster controller for up to eight APs. Edimax calls this Edimax Pro NMS (Network Management Suite). The screenshot provides a taste of the CAP1200's web GUI style. In addition to the features listed below, you'll find a Wi-Fi scheduler and built-in RADIUS server for authentication. Traffic Shaping / QoS is done by SSID with separate up and downlink bandwidth limits settable for each. 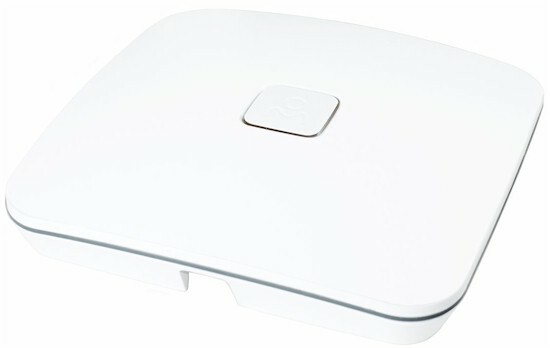 The LAPAC1200 is Linksys' least expensive business-grade access point. It's a two-stream 802.11ac design based on Qualcomm chipsets. It's also the physically largest AP in the roundup group, with a hexagonal design measuring a bit over 9.5" across the widest parts of its rounded hexagon shape. It can be wall or ceiling mounted with included hardware and powered with 802.3at PoE via its single gigabit Ethernet port or included AC adapter. As mentioned earlier, the LAPAC1200's 802.3at rating means it requires more power than 802.3af switches can provide. Unlike the Broadcom-powered LAPAC1750PRO, the 1200 is built on a Qualcomm platform with a Qualcomm QCA9557 2x2 11abgn WiFi SoC acting as the main processor and 2.4 GHz radio and QCA9882 2x2 11abgn+ac radio SoC for 5 GHz. The LAPAC1200 is managed through a browser interface via HTTPS / HTTP. There is no command line interface. Linksys has added a Cluster Management System that provides a single management interface to control up to 16 APs. Note, however, that all APs in a cluster must be the same model. We reviewed the top-of-line LAPAC1750PRO back in 2014 and the AP Clustering feature last spring. So please check those reviews for further details. There's also an online emulator for the AP's management GUI (login credentials are admin/admin). The WAC505 is NETGEAR's entry-level access point in its Insight Cloud-managed small business product line. In addition to access points, the Insight app can also manage smart switches and most ReadyNAS NASes. The WAC505 is a two-stream 802.11ac design based on Qualcomm's IPQ4019 SoC. So it most closely resembles D-Link's DAP-2610 that uses the IPQ4018. It can be wall or ceiling mounted with included hardware and powered with 802.3af PoE via its single gigabit Ethernet port or an AC adapter that must be ordered separately. The board photo below shows the IPQ4019 and its RF power amplifiers / front-ends. The 2.4 GHz devices are from Qorvo and the 5 GHz are from RFMD (now owned by Qorvo). But the markings on the devices didn't match up to anything in the Qorvo catalog. The WAC505's management is a work in progress. The AP has many desirable features, including band steering, ability to limit the number of clients allowed to attach to each AP, RSSI-based client connection control and wireless backhaul via WDS. There's even the ability to filter URLs. But none of these features can be accessed via the Insight app. Instead, you need to set them via each AP's web GUI. When you change the management mode, the configuration of the access point is reset (cleared) with the exception of the IP address, access point name, and password for the local browser interface. I experienced this first hand when switching to web management (standalone) mode to set a static IP in preparation for testing. When switching back to Insight mode, I switched mode first, which left the WAC505 with a static IP, which couldn't communicate with its cloud host. Long story short, I ended up resetting the AP to default so it get a proper IP and phone home. I liked the web GUI a lot more than Insight. But as noted above, it's not a system console and manages only one AP at a time. Although the concept of managing a wireless LAN from your smartphone may be appealing, it's not really practical for managing multiple APs. The Open Mesh A40 has two unique attributes in our roundup group. At around $160, it's the most expensive and it's the only product in the group managed via a cloud service. In fact, the only management option is Open Mesh's free, cloud-based CloudTrax system. The good news is that, once set up, a network can keep running if its cloud connection goes down. The bad, of course, is that you are left with doorstops if Open Mesh closes its doors. This is less likely than it may have been, however, since Open Mesh was acquired by business continuity solution provider Datto early this year. The 2x2 A40 could be mistaken for its 3x3 A60 sibling, since both come in the same off-white 6.5" rounded square plastic enclosure. Unlike most other APs in the roundup herd, the A40 has two gigabit Ethernet ports, one of which accepts 802.3af to power the AP. Note the A40's enclosure is water resistant and is ok for indoor or outdoor use. 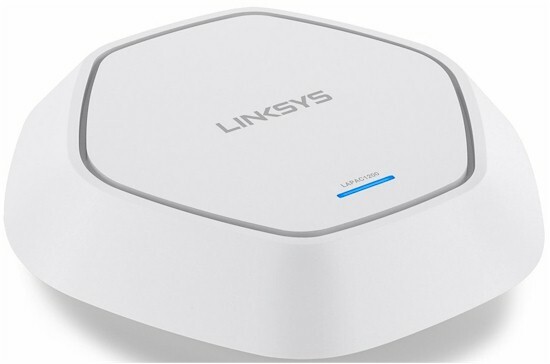 The A40 and A60 are both built on Qualcomm platforms, with the A40 using the QCA/9557/QCA9882 combination that also forms the core of the Linksys LAPAC1200. The full review back in September describes life with Open Mesh's CloudTrax cloud management platform. It has most features you'd want in a multi-AP management system and I found it less confusing to drive than Ubiquiti's UniFi. Open Mesh did a good job on CloudTrax' feature overview. You'll learn everything you need to know in about 4 minutes. The main weak points of the product are that band steering is supported only from 2.4 to 5 GHz and the only roaming assistance provided is to devices supporting 802.11r. Summary Qualcomm-based AC1200 class 2x2 PoE-powered access point. TP-Link's EAP225 was a surprising find. It's the lowest cost product in our roundup group and the best performer. It's the entry-level 802.11ac member of TP-Link's Auranet family, which includes four 802.11n and four 802.11ac APs. At just over 7" square, it's one of the larger APs, but not overly so. Its single gigabit Ethernet ports accepts 802.3af to power the AP, but it can also be powered by an included wall-wart. The Qualcomm-based platform uses a QCA9563 3x3 802.11bgn wireless SoC as the processor and 2.4 GHz radio and QCA9882 for 5 GHz. However, if you examine the board shot below closely, you'll see unloaded components for a third 2.4 GHz RF chain. The rest of the components are summarized in the table. The EAP225 can be managed via its HTTPS web interface. Or you can install TP-Link's free EAP Controller on a Windows or Ubuntu, CentOS or Fedora Linux system. Auranet also has a cluster controller option using an AP-turned-controller to run up to 24 APs. But the only AP that can be used as a controller is the N300 class EAP115. Still, at only around $44, it might be an option worth exploring if you have a lot of APs to manage and don't want to run a software controller. The EAP225 is the only product in the roundup to support automatic transmit power control and supports AP load balancing by limiting the number of associated devices. But on the downside, it band-steers 2.4 to 5 GHz only and has no roaming assistance features. Wireless backhaul is also not supported. So the only way to connect EAP225's is via Ethernet,. The feature table says the EAP225 has no QoS features, but that's not 100% accurate. What is does provide is control of arcane WMM QoS parameters that will be of little use to many of us. If you're looking for simple ways to control client access priority or bandwidth use, the EAP 225 doesn't have them. We reviewed Ubiquiti's UAP-AC-Lite and PRO APs early this year, but retested them with the current Revision 10 process for this roundup. The Lite seems to be the product to beat, at least in the hearts and minds of the many SNBForum denizens who recommend it. But that could change by the time we're done. The Lite is a smallish smoke-detector format AP measuring a little over 6" in diameter. It has a single gigabit Ethernet port and is powered only via PoE, which is now standard 802.3af vs. the passive 24V system originally used. Ubiquiti shared that is "silently" added support for 802.3af into Lite's manufactured starting September 2016. A 24V passive PoE adapter is included with each AC-Lite. The AC-Lite uses a QCA9563/Ubiquiti U-AME-G1-BR4A combination. As in the EAP225, the third RF chain in the QCA9563 is not used. The OpenWRT wiki makes a good case that the Ubiquiti device is a custom-labeled Atheros AR9888. The rest of the key components are summarized in the table. The full review describes Ubiquiti's UniFi management controller, which is available for Windows, MacOS and Debian and Ubuntu Linux. There's also the option of using the $80 Cloud Key controller. There's now an online UniFi demo you can check out, too. Ubiquiti continues to evolve UniFi and tweaking features. Unfortunately, they did not respond to our questions for this review, so the features shown below may not be accurate for the current UniFi 5.6.24 release. In general, the UniFi system has many features, although you may need to dig for them in the multi-level interface. Like Open Mesh, UniFi supports wireless AP backhaul. Summary Qualcomm-based AC1200 2x2 PoE-powered access point. Last, but not least, in our alphabetic procession is Zyxel's NWA1123-ACv2. It's the most compact AP in the roundup at just over 5" in diameter, but also the tallest at a bit over 2". Its single gigabit Ethernet port supports 802.3af for power or you can use an included 12 VDC adapter. Despite the small size, the Qualcomm-based design has the QCA9882 5 GHz radio on a mini PCIe board. This plugs into the main board that holds what appears to be an Atheros AR9344 2x2 abgn wireless SoC that serves as the main processor and 2.4 GHz radio. There are a pair of bent-metal antennas for each band, mounted to an aluminum plate that sits at the top of the AP. The whole assembly was too daunting to take apart for complete component identification, so you'll note there are guesses and missing information in the table below. The NWA1123-ACv2 is primarily managed by a web GUI that has a fresh, modern design. There is also a command line interface that can be accessed via SSH and Telnet or by opening a window in the web GUI. While the look is fresh, the object-based design may take some getting used to for non-professionals. The current feature set doesn't include roaming support via 802.11k,v or r, but does offer RSSI-based assistence. Client association limits are supported to control AP load, but band steering isn't supported. Per-station up and downlink bandwidth limits can be set for each SSID. Dig into the over 250 page User Guide to further explore the feature set. Zyxel plans to allow the AP to be managed by its Nebula Cloud Networking Solution in Q1 2018, with a free limited-feature version that can be upgraded to full-feature version with a license purchase. 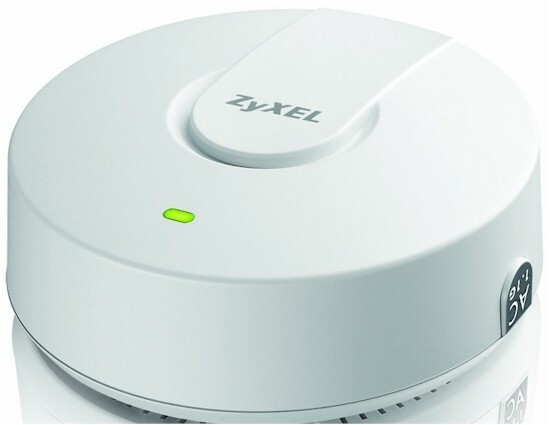 Right now, if you want to manage a group of NWA1123-ACv2's, you can use two free Windows-based applications, the Zyxel AC Configurator (ZAC) and Zyxel ONE Network Utility (ZON). This is far from an integrated, easy-to-use system like UniFi or Open Mesh, so let's hope Zyxel follows through on Nebula support. I'm told Nebula will also add 802.11k,v,r, band steering and captive portal features, but it's not clear whether they will be in the free version. Note: The Performance sections have been updated to reflect NETGEAR WAC505 test results. If you skipped the previous sections to just get to the good stuff, here's a recap of the key components for the roundup group. 128 MB 128 MB 128 MB 64 MB ? All products were loaded with the firmware shown in the tables above and tested with the Revision 10 wireless test process . Channel 6 was set for 2.4 GHz and Channel 40 with 80 MHz bandwidth set for 5 GHz. WPA2/AES encryption was used for all connections. The Revision 10 process uses 20 MHz bandwidth for 2.4 GHz tests for throughput vs. attenuation, but uses 40 MHz for peak throughput tests. These settings are enforced by the octoScope Pal test client. All products were centered directly on the test chamber turntable as shown in the example photo below. The 0° position for each AP had the front facing the chamber antennas. Test runs were made with a few APs on a raised platform to see if it made any significant difference. It didn't. I'm not going to bury the lead and instead present the overall rankings up front. The missing #4 and #5 are the 3x3 AC1750 class Ubiquiti UAP-AC-PRO and Open Mesh A60, which are not in the roundup group. If you're surprised at the results, so was I. 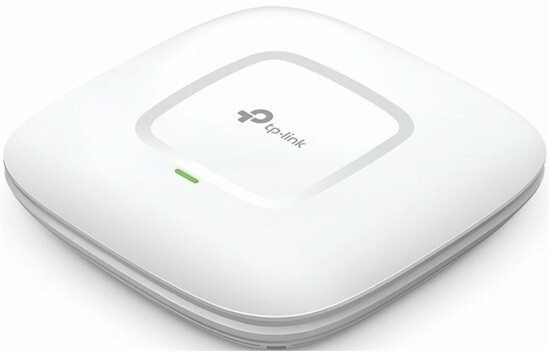 Top performance honors go to the least expensive AP—TP-Link's EAP225. The perennial favorite—Ubiquiti's UAP-AC-Lite—ranked 4th out of 8. Let's see why. Best average 2.4 GHz throughput of only 44 Mbps may seem low. But keep in mind this is with 20 MHz bandwidth and averaged over a 63 dB range. This ensures that products that have high throughput but disconnect early aren't falsely favored. The Linksys LAPAC1200 comes out on top for both down and uplink; the Edimax CAP1200 fares the worst for downlink, but the NETGEAR WAC505 earns bottom place honors for uplink. 5 GHz average throughput once again favors the Linksys for downlink, but the TP-Link EAP225 for uplink. Both products, however, are within the top three slots for both benchmarks. 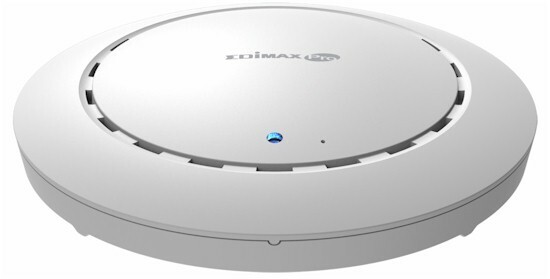 The Edimax CAP1200 moved up both charts considerably, leaving the Open Mesh A40 and A60 as the worst performers, joined by the WAC505 on downlink. Note the 5 GHz benchmarks are averaged over a 45 dB range vs. the 63 dB range for 2.4 GHz. For the throughput vs. attenuation plots, I'm going to break the eight products into two groups, based on overall ranking, so the plots don't get too busy. 2.4 GHz downlink for the first group shows the Linksys with the highest overall curve and the Ubiquiti with the lowest. The UAP-AC-Lite also disconnects earliest. For 2.4 GHz uplink, the Linksys again has the strongest showing. This time the AC-Lite tracks the TP-Link at the start, but falls below all the others after 15 dB attenuation. 5 GHz downlink is, as usual, more interesting. I don't know what caused the upward hitches from 0 to 3 dB tests for the TP-Link and Zyxel. Both tests had signal levels well below the octoScope Pal test client -30 dBm maximum rated input level. The Ubiquiti's curve isn't actually too bad, but ends earlier than the others. The Linksys and TP-Link fare the best in this benchmark. The 5 GHz uplink plot again shows a rise for the TP-Link in the early going, but it's more gradual on the rise and fall. All products do pretty well in this test, with the Ubiquiti again breaking connection the earliest. Group 2 contains the four lowest-ranked products. The Edimax disconnected so early (yes, I retested it multiple times), the data points from 21 to 39 dB had to be zero-filled. Otherwise, the ranker would have skipped the 2.4 GHz range ranking, which uses the 39 dB measurement point for 2.4 GHz. (5 GHz range ranking uses the 30 dB value.) This would have incorrectly ranked the product higher. I also had to zero-fill the last point for the NETGEAR WAC505 so it would be included for range ranking. It also tracked below the D-Link and Edimax on this benchmark. For 2.4 GHz uplink, the Edimax again starts out strong, but hits a wall early when it disconnects. The NETGEAR once again tracks below the other products, except for Edimax, throughout most of the test run. I had to zero-fill two points for the NETGEAR in this benchmark, too. The Edimax looks like a totally different product in the 5 GHz downlink benchmark, running along with the D-Link throughout the plot. The Open Mesh and NETGEAR never achieve the throughput the others show, even with strong signals. The Open Mesh A40 gets even worse for 5 GHz uplink, but the NETGEAR does not. I explained the reason for the A40's behavior in the Open Mesh review; lower link rates. The Edimax CAP1200 does quite well in this benchmark. For our peak wireless performance tests, the octoScope Pals are configured as 4x4 AC devices and left to negotiate their best connection, with 10 dB of attenuation applied on 2.4 GHz. The latter is necessary so the 2.4 GHz Pal isn't overloaded. These tests are weighted to account for only 10% of the ranking score, 5% each for 2.4 and 5 GHz. All tested APs are shown in these charts. The interesting thing in these charts is that both 3x3 APs (Open Mesh A60 / Ubiquiti UAP-AC-PRO) aren't always at the top of each chart. The NETGEAR WAC505's results are surprising, given its poor showing with a two-stream client. I don't pay much attention to these benchmarks, since you're unlikely to encounter these bandwidths in everyday use. But the numbers show what a 2x2 AC connection is capable of with a good client and high signal level. I suppose it shouldn't be a complete surprise that TP-Link's EAP225 turned out to be the top performer, since the company has a history of producing routers with good wireless performance that are priced well below the competition. If you're looking to add an Ethernet-connected AP to beef up your wireless LAN, the EAP225 is worth a try. 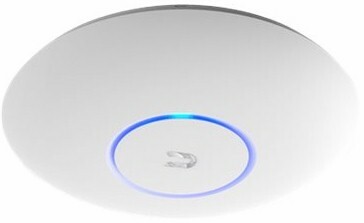 It's both cheaper than the Ubiquiti UAP-AC-Lite and you can set it up and manage it via web browser. If you're looking to set up a larger WLAN with more than a few APs, other APs might be a better choice. Jim Salter's Part 2 review provides better insight into making that choice.